Our gastronomy software manages your reservations digitally and therefore replaces the traditional reservation book made out of paper. 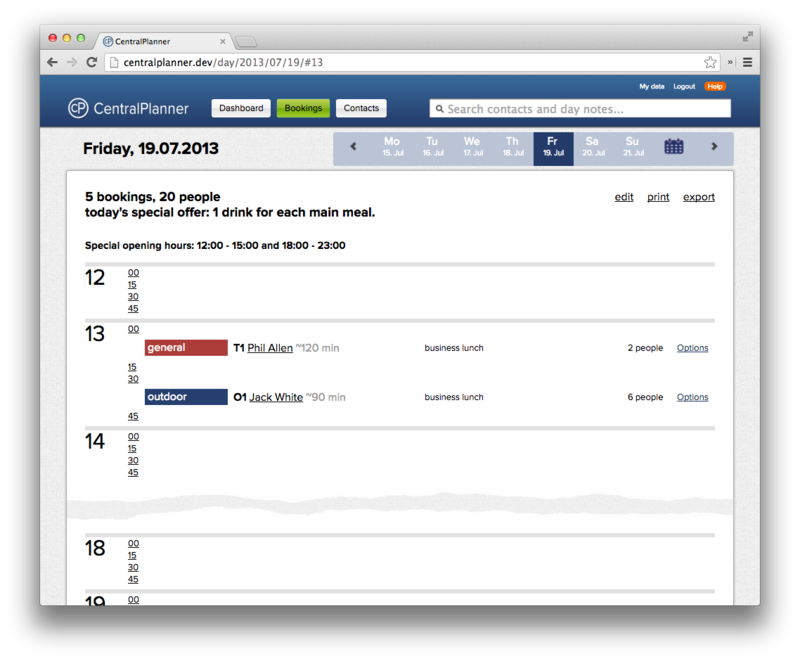 CentralPlanner enables gastronomes to accept online reservations and enter them manually. 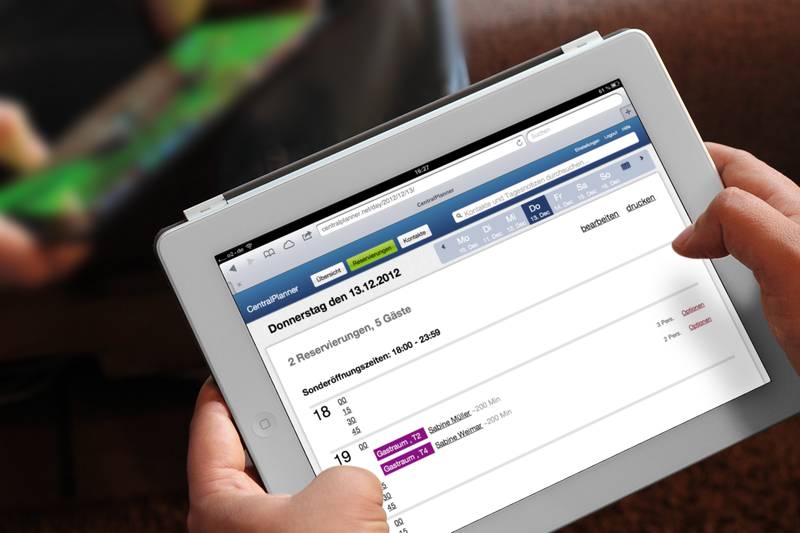 CentralPlanner is not only a digital version of the traditional reservation book made out of paper, but it offers more far-reaching possibilities. 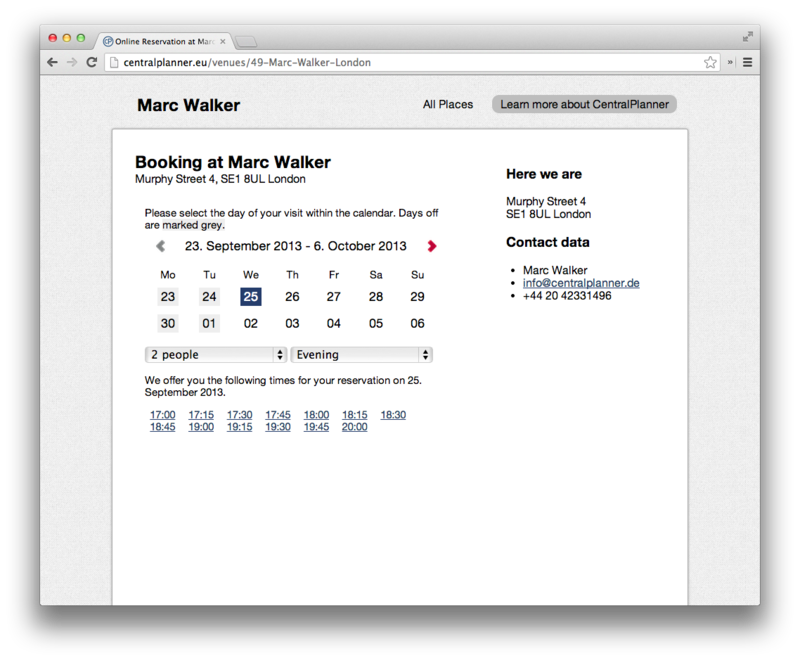 Clearly laid-out, you can store all information about a reservation, e.g. the contact details, room and table. In addition, information that make it easier to welcome the guests warmly can be added. Is a high chair needed for a child? Is your guest vegetarian? Information that can increase the well-being of your guest tend to get lost in case you write them down on paper. This does not happen with our digital gastronomy software. The knowledge about preferences of your guests is always available for the gastronome and the service staff. Things have to get done fast within the gastronomy and there is no time for complicated software. 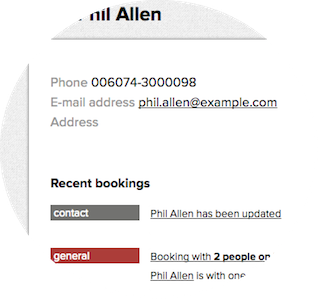 Our reservation system is therefore deliberately designed to be easy and intuitive. 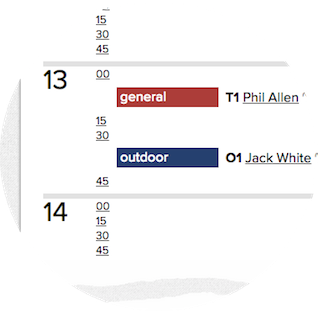 Forget long training periods, forget long instructions. 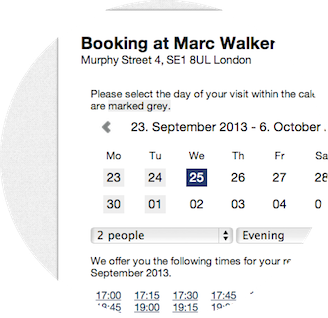 Still, entering a reservation takes time, so why don't you leave booking to your guests? They can see online when a table is available for the desired amount of people and can reserve at any time, from anywhere. Without having to place a phone call. This saves you and your guests time and unnecessary frustration. Especially if your guest wants to place a reservation outside of the opening hours, but for the same evening. 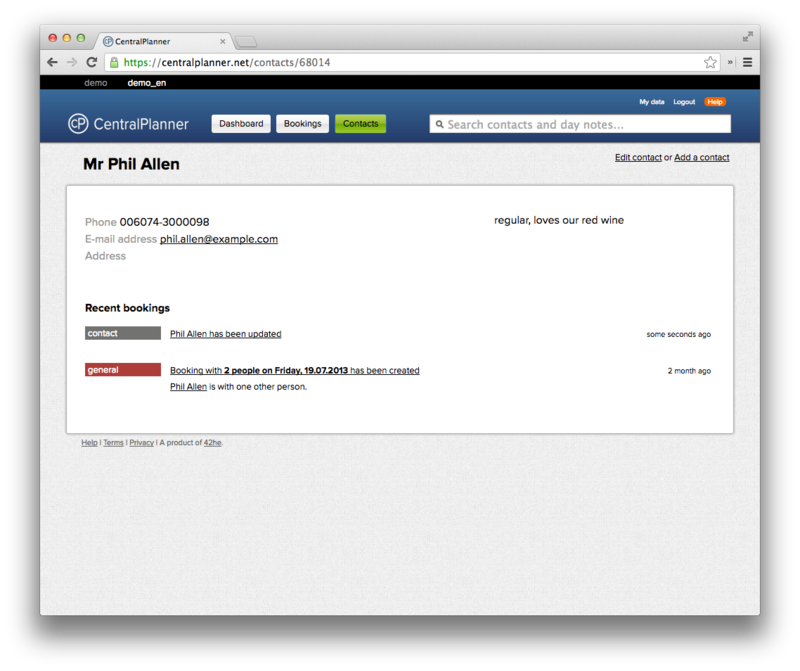 CentralPlanner does not only manage reservations at your restaurant, it also creates a whole new sales channel. 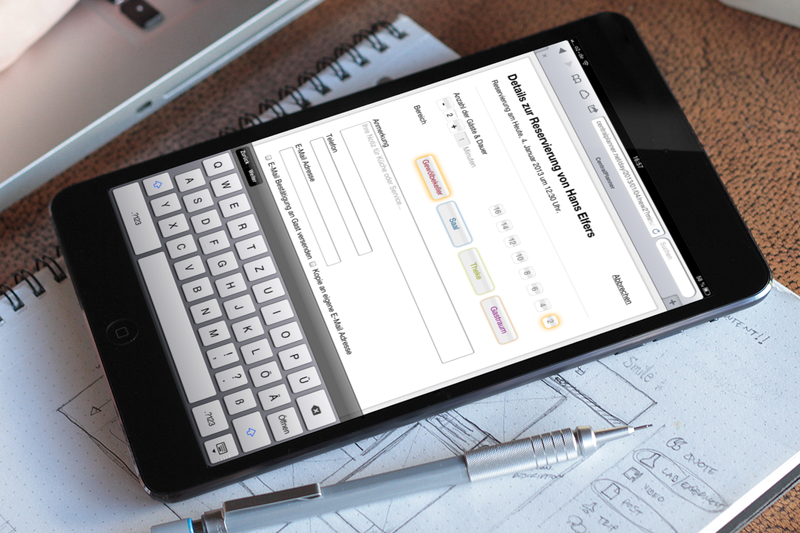 While your guests register online, you can offer them the possibilities of sending offers via e-mail. You have steak weeks or a special Christmas offer? Don't wait until your guests are at your restaurant, you can reach out to them beforehand! A sales channel that is underestimated by many gastronomes. Give our gastronomy software a try and run our 30-day free trial.